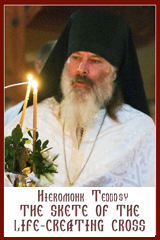 In the celebration of the Divine Liturgy, just before the words of the Anaphora, “Take eat, this is my body… Drink of it, all of you; this is my blood,” we are invited by the words of the Prophet Jeremiah to “Lift up our hearts to God!” (Lamentations 3: 41). These words invoke two distinct ideas: blessing and supplication. Today, we come before the Lord to bless him and to offer him thanksgiving for the sacredness of human life; and to stretch out our hands in supplication that that very human life be recognized as sacred from conception to its natural end. These words from Sacred Scripture, “Let us lift up our hearts to God,” resonate in our prayers, our liturgies, and even in our church architecture. When we enter our houses of worship, for example, the richly decorated domes or cupolas engage our very being, lifting us up — mind, body and spirit – to the heavens where we encounter not a God that remains aloof or distant from mankind, but a God that unites heaven and earth through the birth of Jesus Christ. It is not so much that God comes down from heaven during the celebration of the Word and rests upon our altars in the Eucharist, but that we are lifted up on high, reaching out, stretching and being stretched in response to a Divine Call to holiness. This leads us to the revelation that as Church and as a Nation, we are called one and all to respond to the Divine Call to holiness and embrace the sanctity of life. Ours is a higher calling — transcending our individual wants and desires, and our personal choices — responding to our Divine Destiny, namely, to be one with God. Our earthly response in decisions regarding life and death must be in harmony with this Divine Call to holiness. In being “lifted up,” our call to holiness implies dignity in life and in death. From a purely earthly point of view, life can be reduced to birth, growth, reproduction and death. However, from the spiritual point of view, life has dignity. In birth, God bestows dignity in the human person from its very conception; as we grow and develop, God continues to bestow dignity, even in times of physical and mental pain and agony; even in death, God ensures that the dignity of life is not lost. Today is the Feast of the Ascension of Our Lord and Saviour Jesus Christ. Perhaps it is less coincidence and more Divine Providence that we gather today as one body. Forty days have now passed since Christ’s Resurrection from the Dead and his victory over sin and death. In the scripture readings for the Feast we read in Acts: “As the [disciples] were watching, Jesus was lifted up, and a cloud took him out of their sight” (1: 9). Again we encounter these same words: “lifted up.” At first glance, the explanation is simple. Christ’s mission here on earth is complete; he has brought salvation to his people; he now returns to heaven, to the Father, and to the glory that was his from the beginning. But upon a closer look, the Feast speaks to us again of humanity ascending with Christ. Jesus came down from heaven as the Word made flesh, but he returns to the honour and glory at God’s right hand. And he takes with him our human nature. The Son of God descended to become one of us enabling us to ascend with him, to be one with him. Through the ascension and enthronement of Christ, all human nature has been enthroned at the right hand of the Father. Lifted up. A higher calling. A call to holiness. The sanctity of life. Dignity in life and in death. With the Feast of Pentecost upon us, we are called like the disciples to carry on the mission of Christ. The gift of the Holy Spirit is entrusted to us. 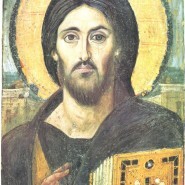 Let us be vigilant in our call to “Lift up our hearts to God” by ensuring that our voices are heard among our own families, among our friends and neighbours, among our spiritual and government leaders, that human life is indeed sacred, and that that very human life be recognized as sacred from conception to its natural end. Thank you for your presence and witness today.